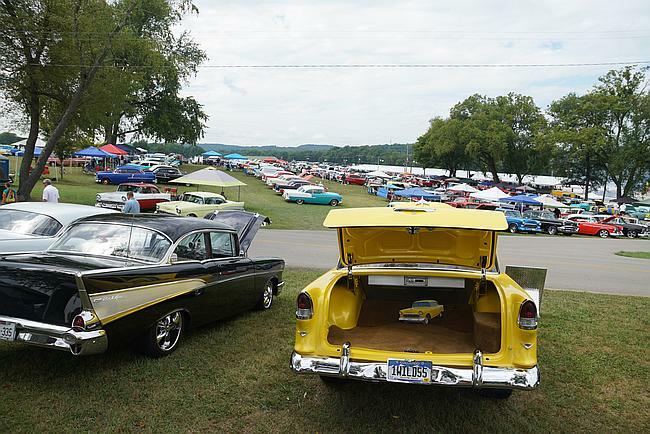 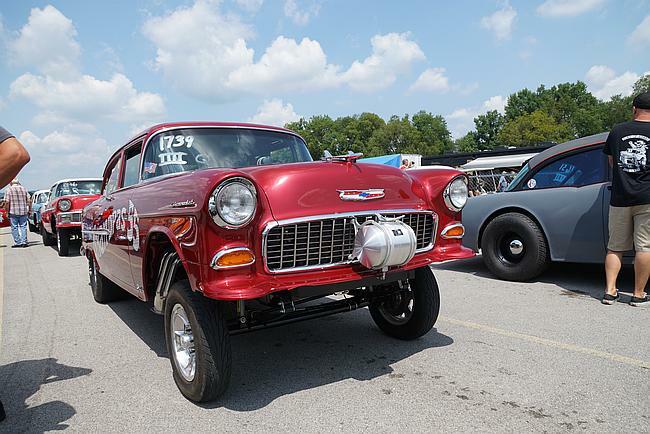 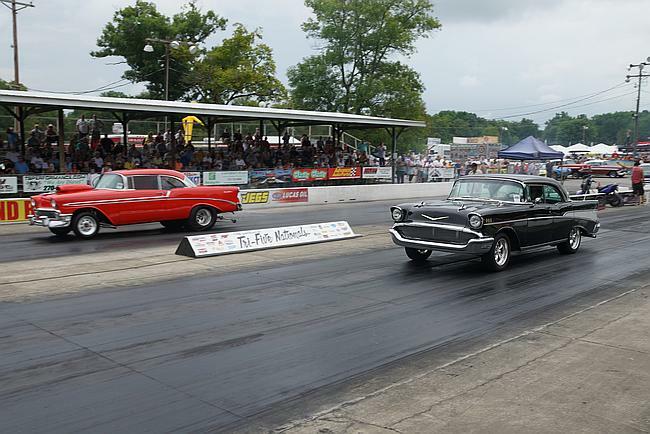 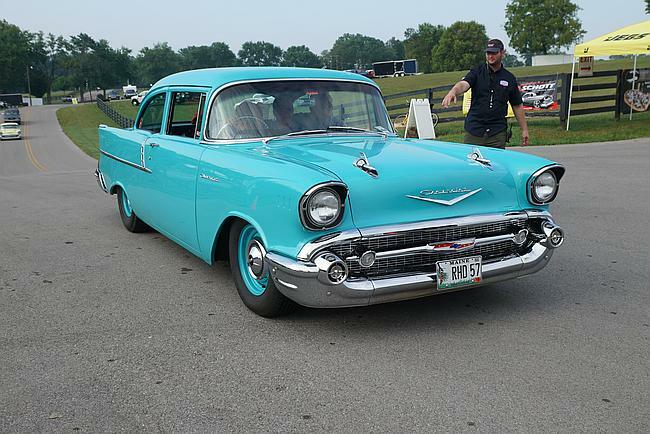 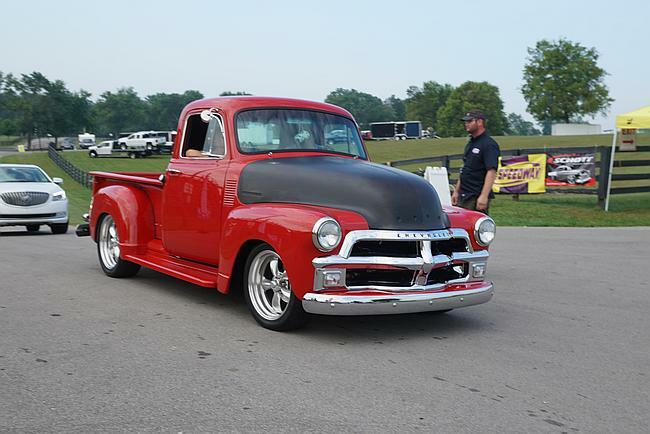 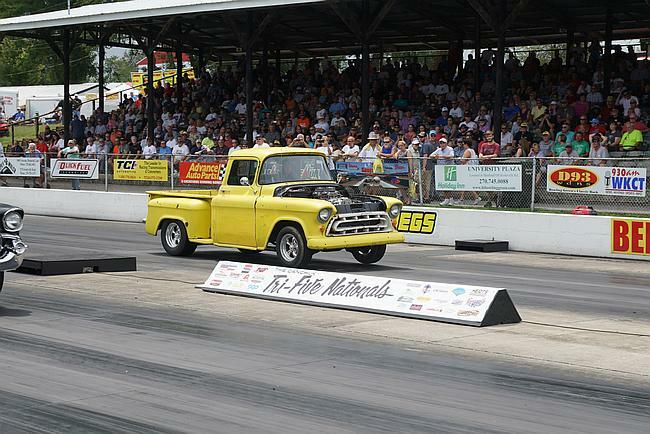 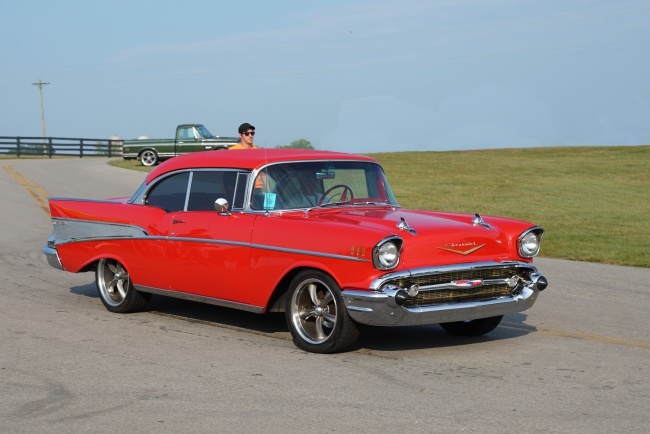 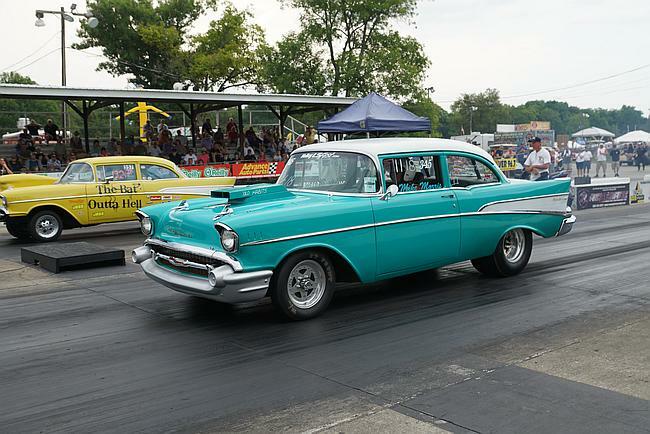 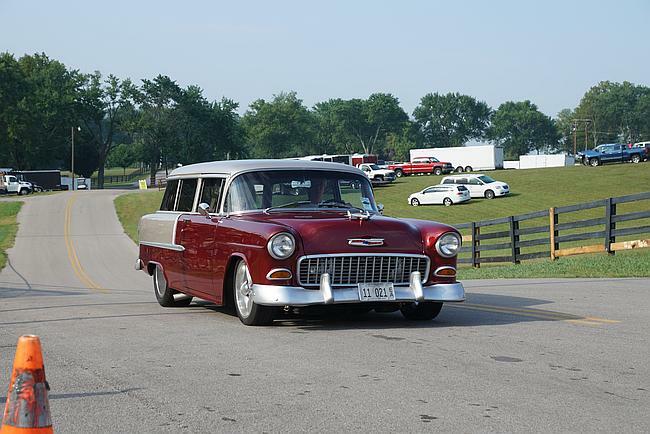 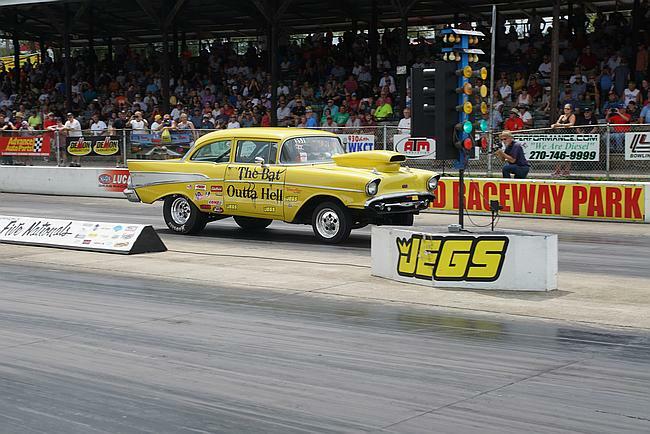 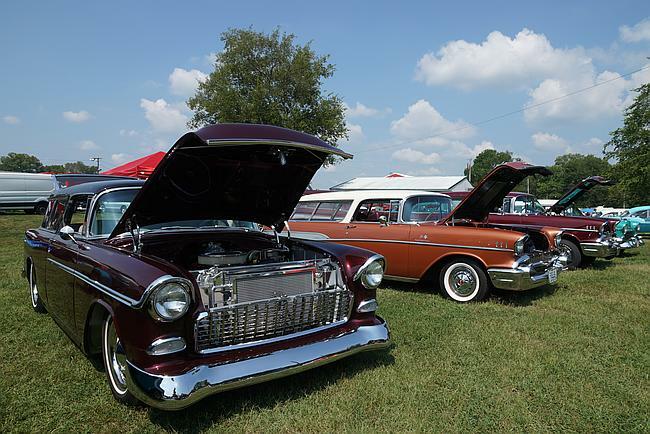 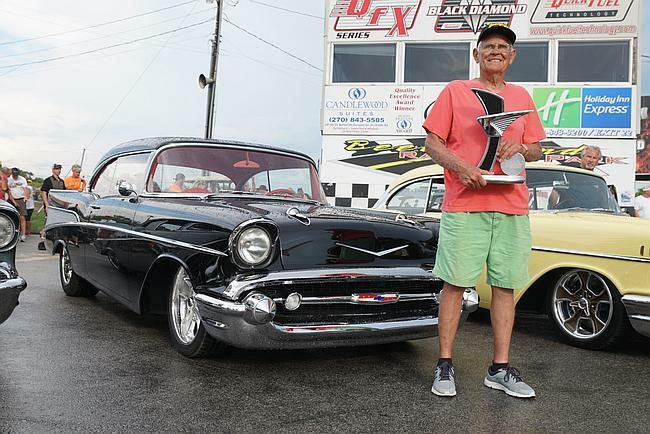 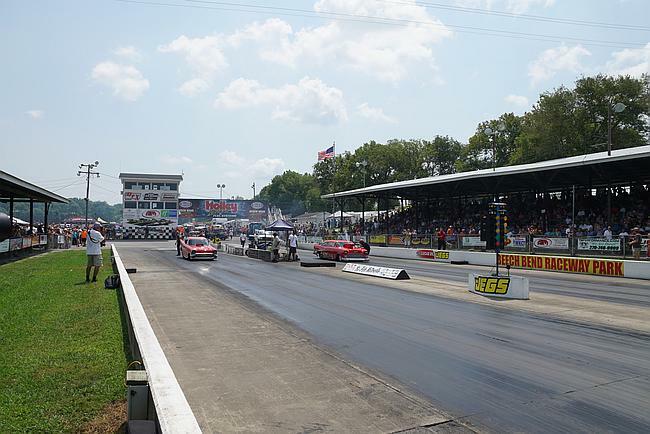 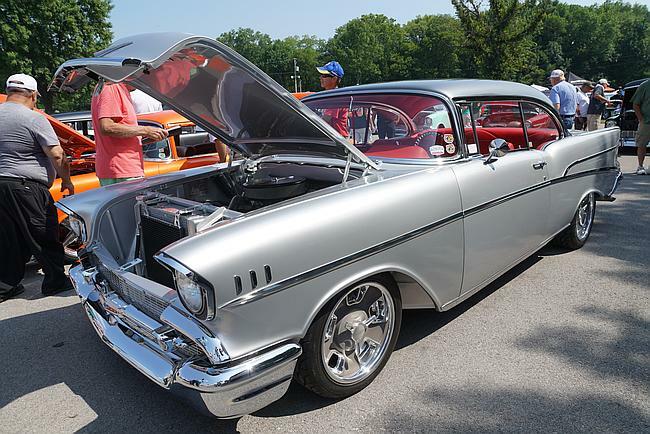 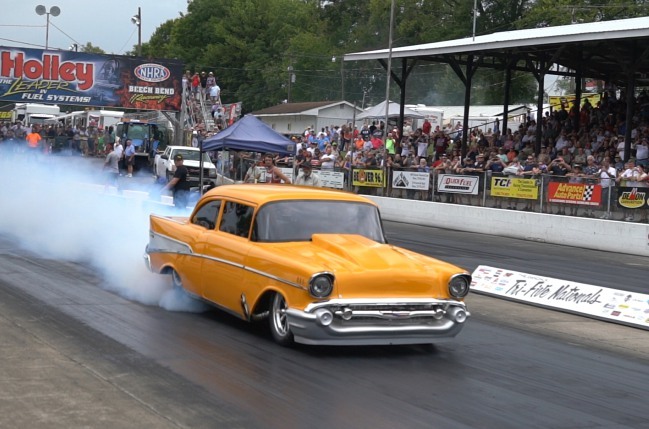 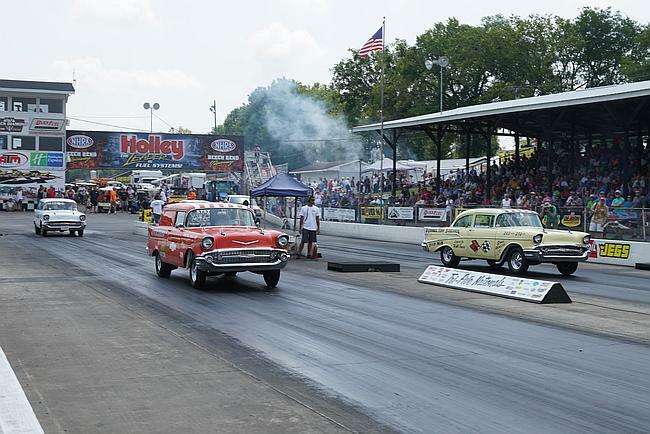 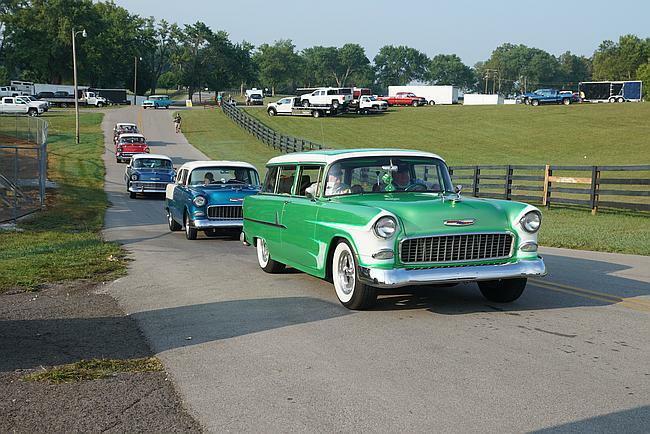 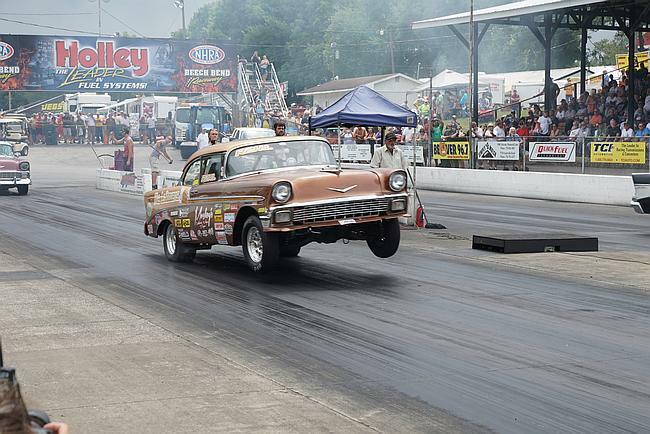 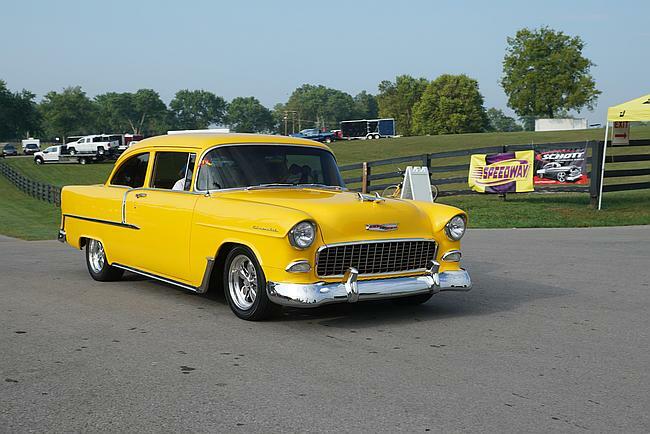 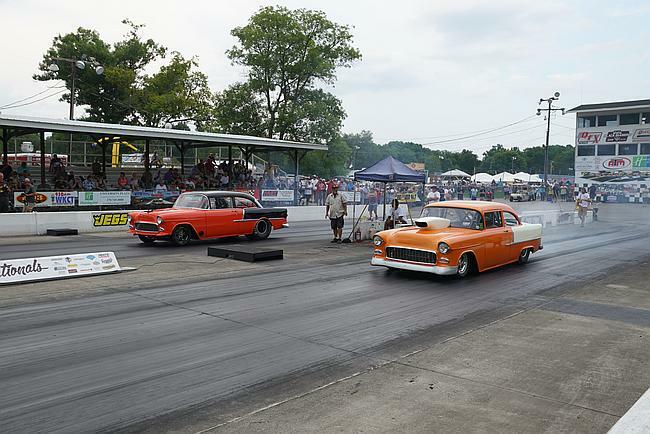 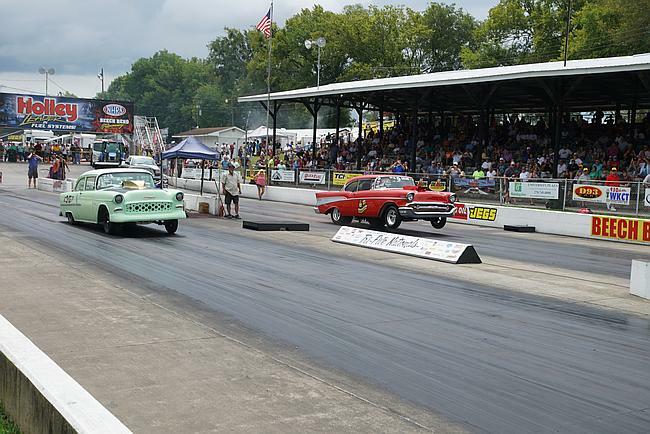 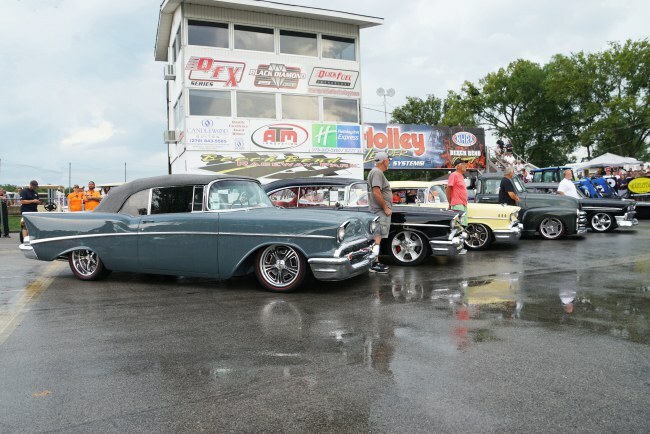 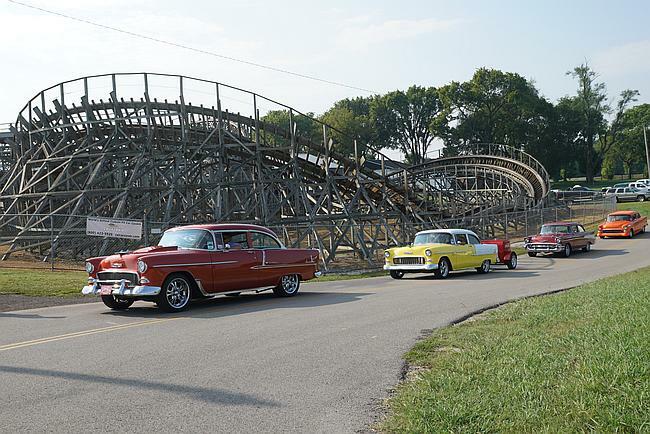 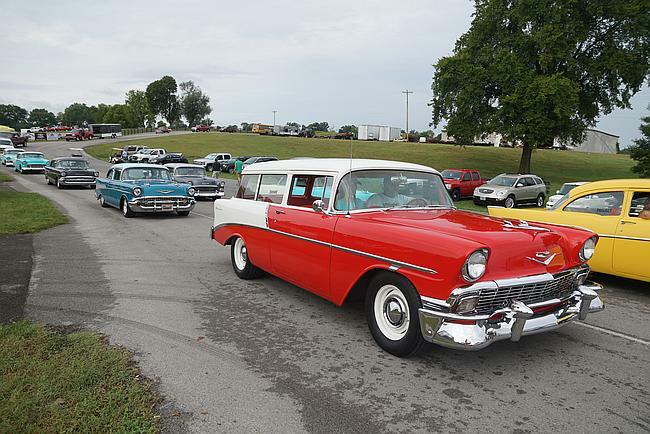 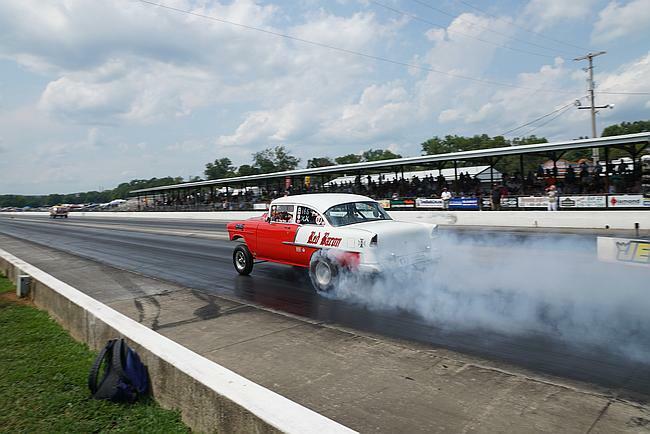 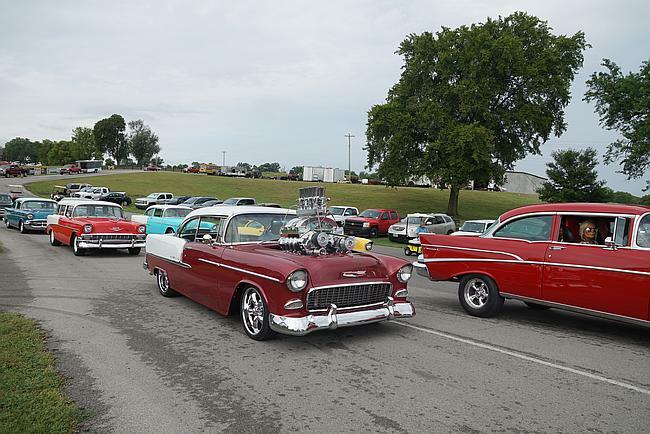 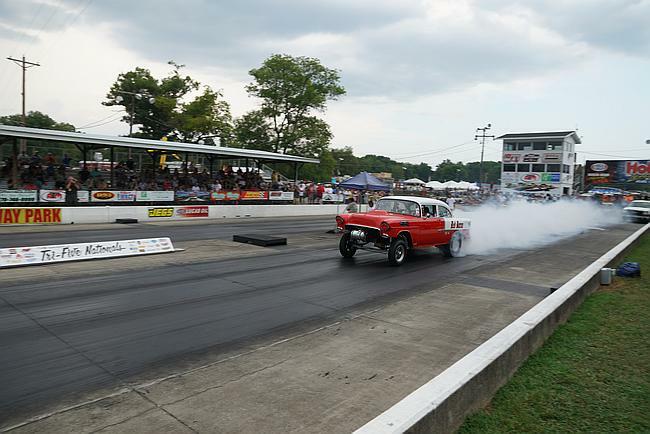 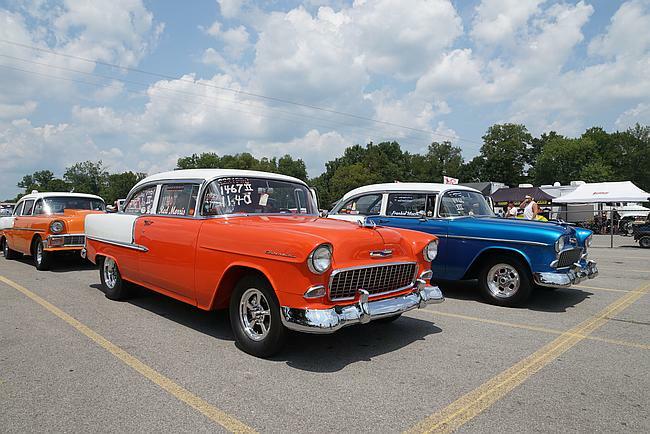 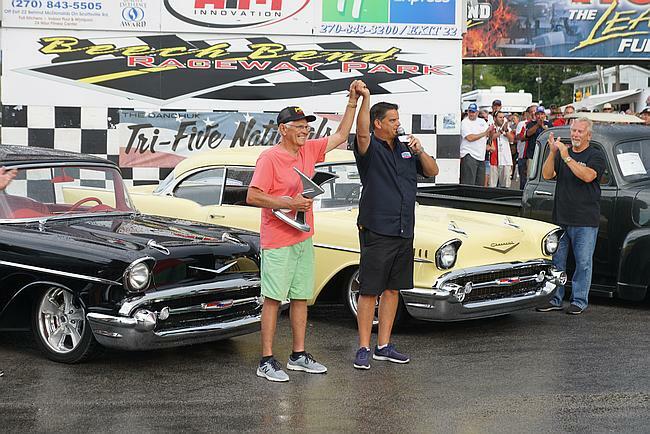 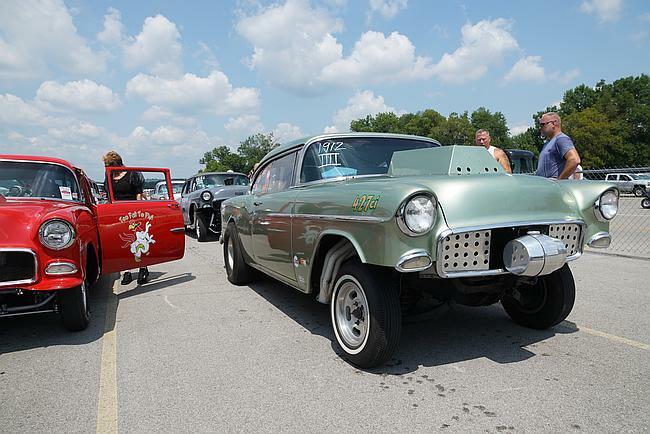 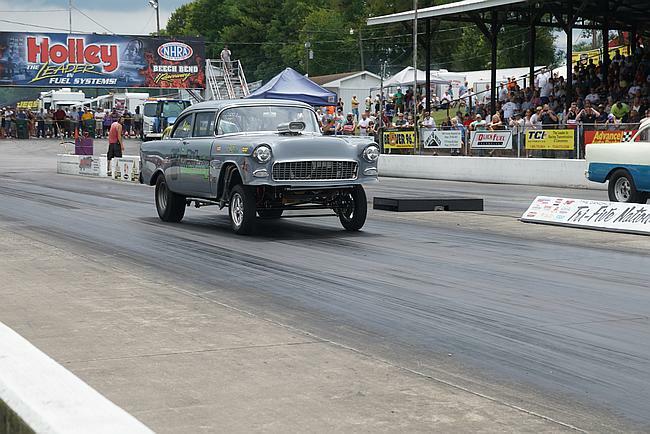 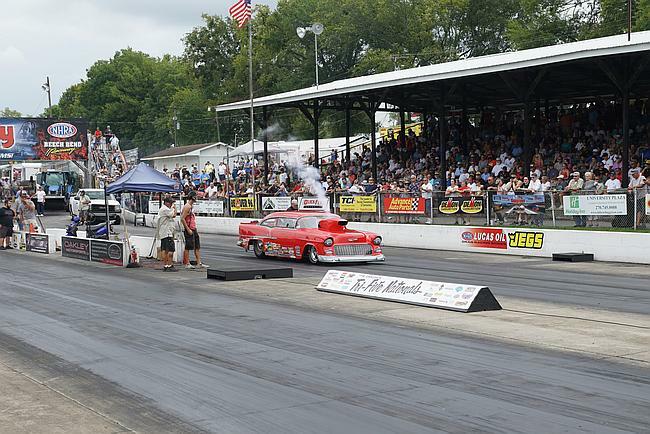 Only in its 4th year, the Tri-Five Nationals, held at the historic Beech Bend Raceway in Bowling Green, KY, has become the largest gathering of Tri-Fives in the world. 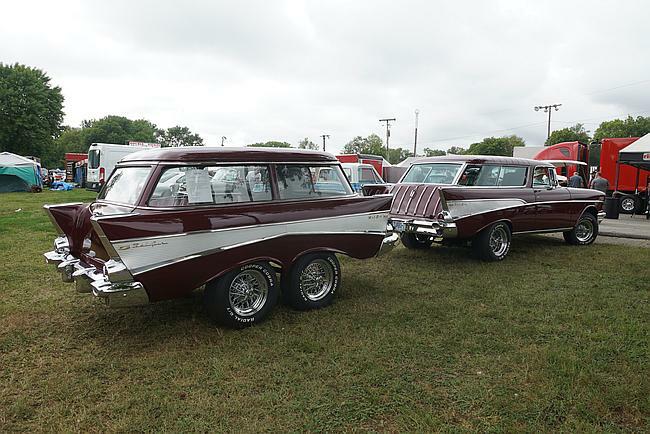 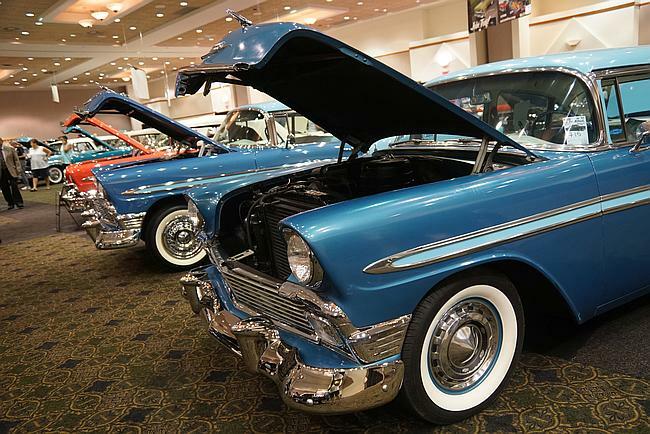 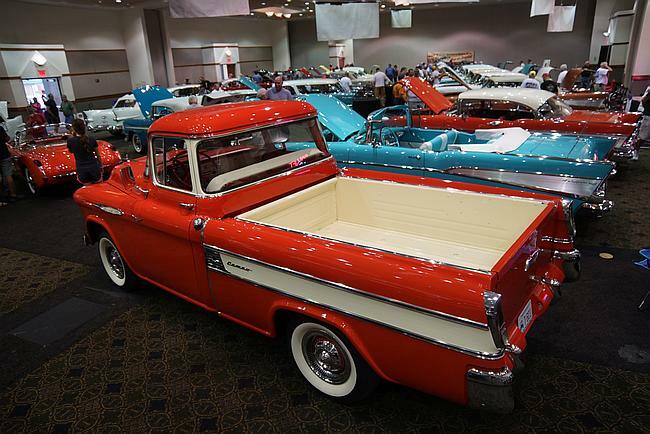 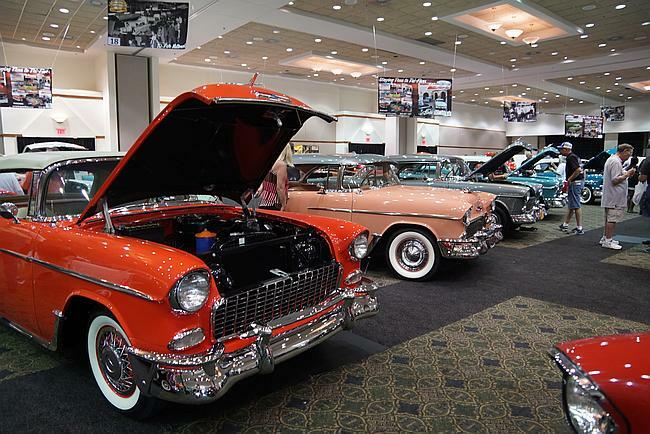 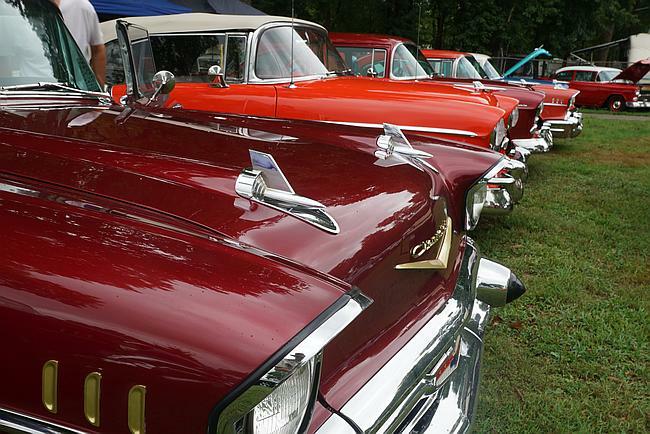 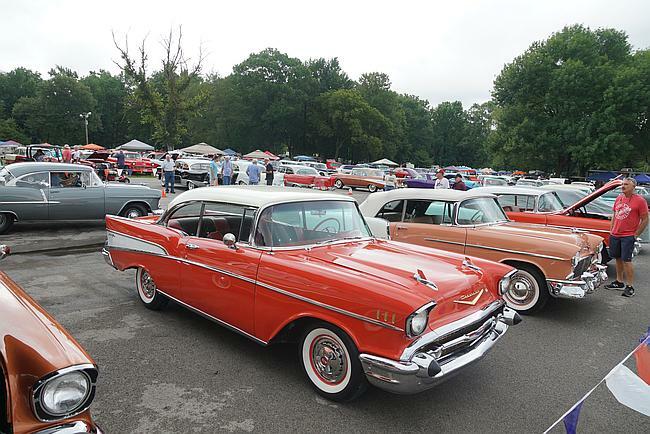 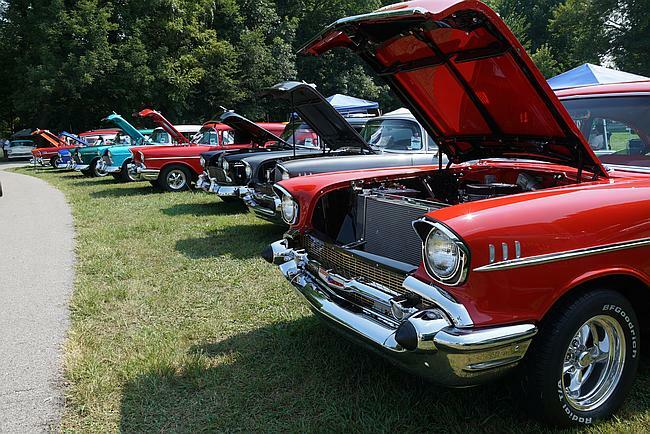 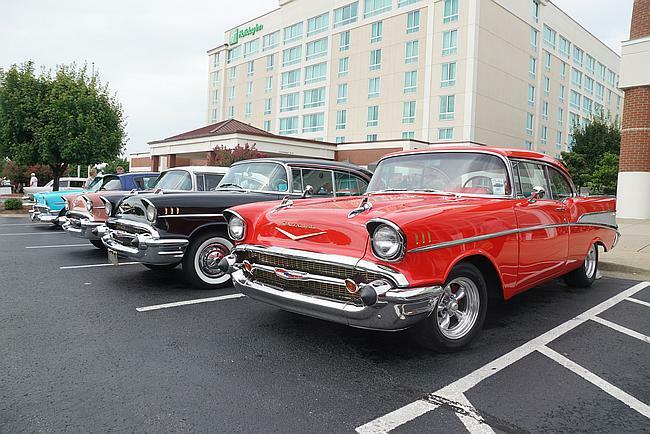 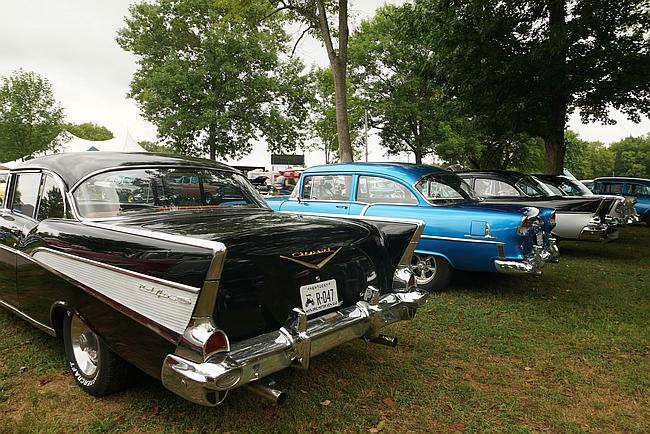 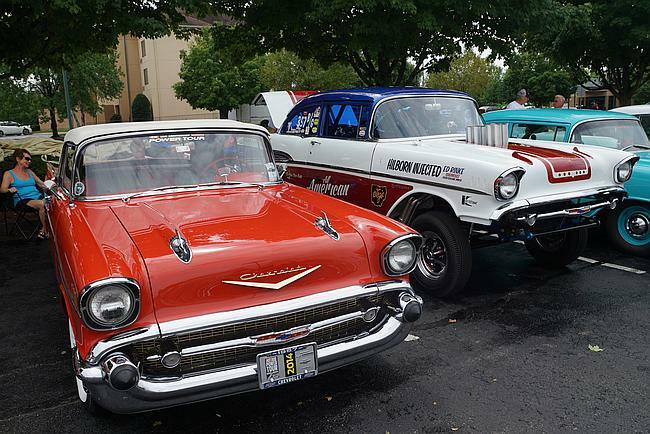 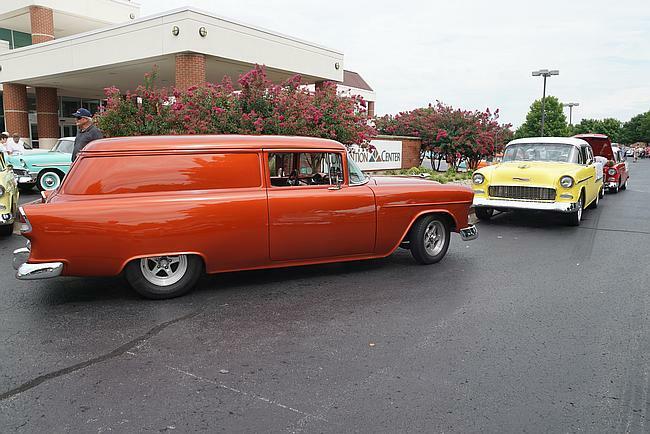 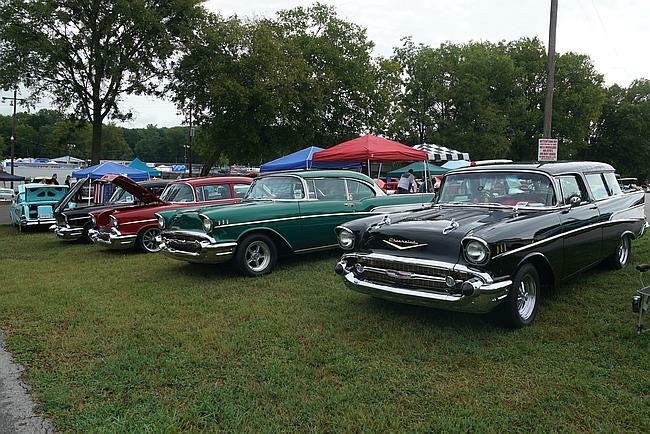 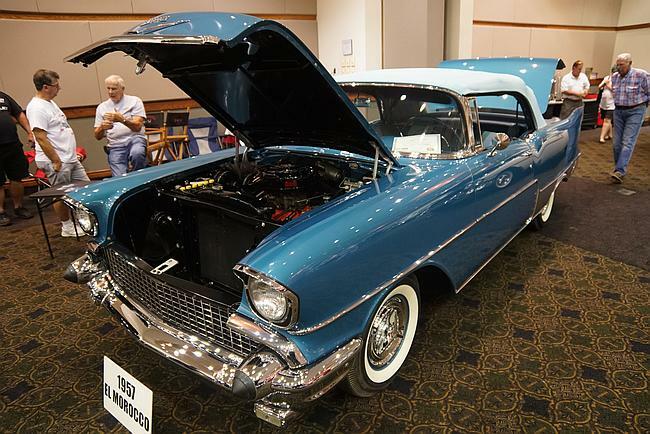 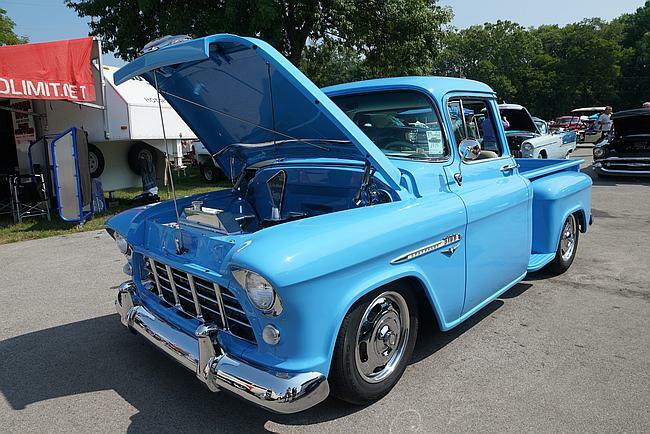 More than 2,750 vehicles were registered for this year’s three-day celebration of 55-56-57 Chevys, surpassing last year’s total. 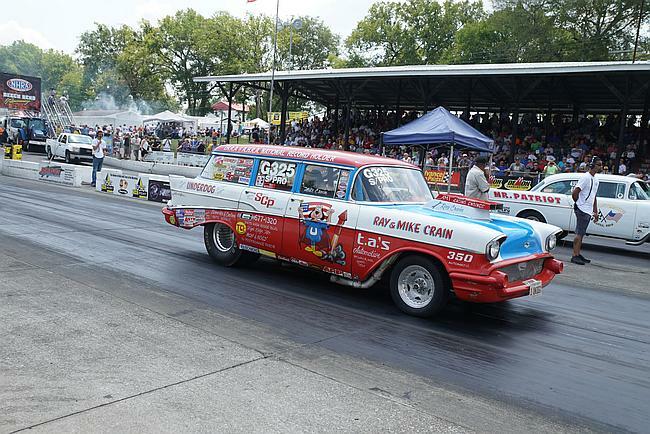 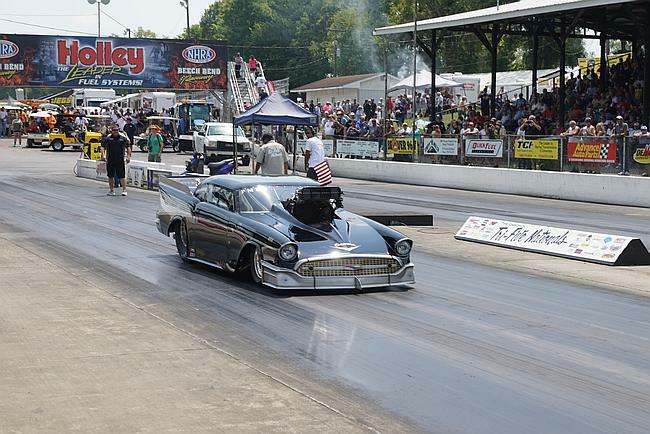 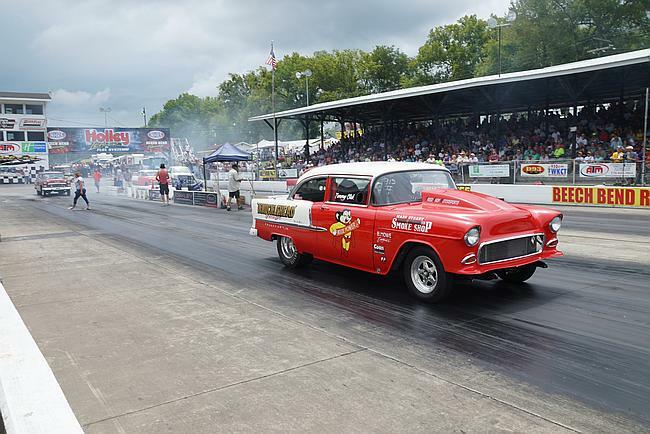 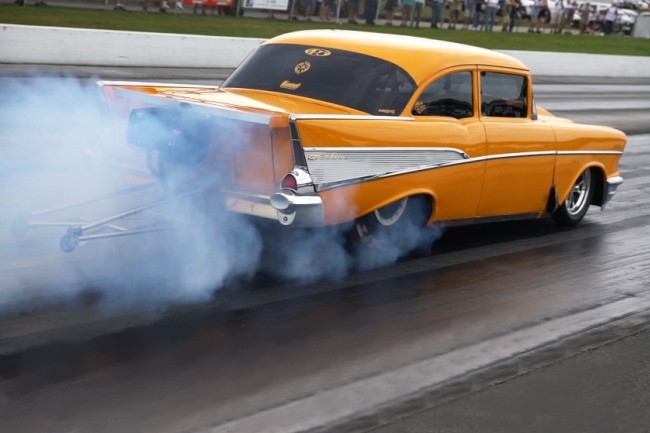 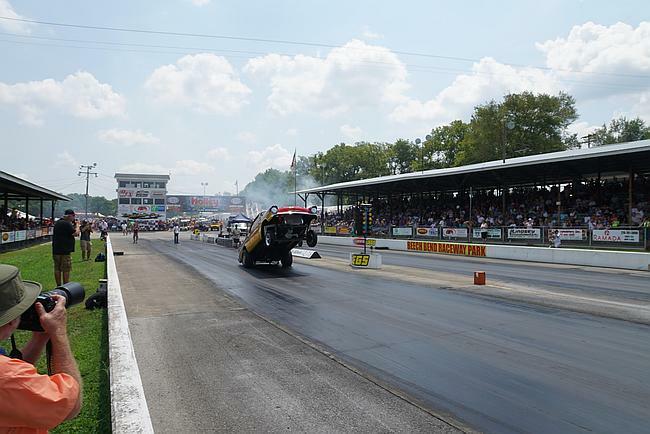 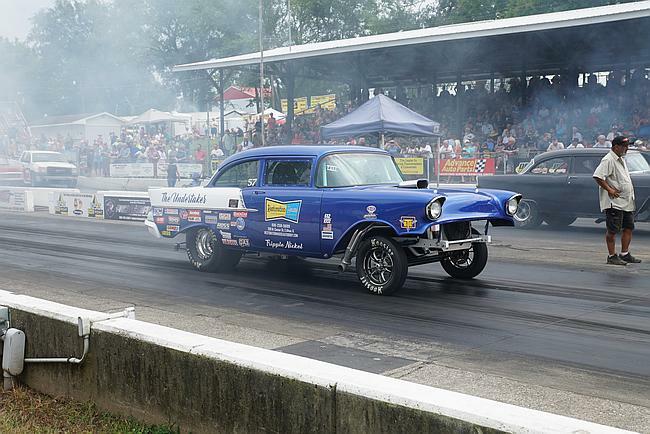 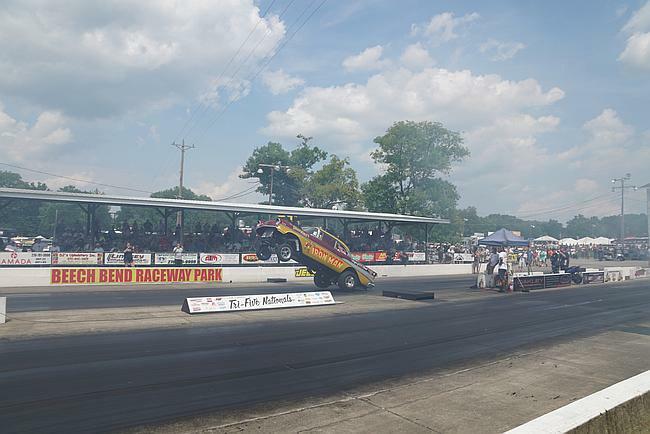 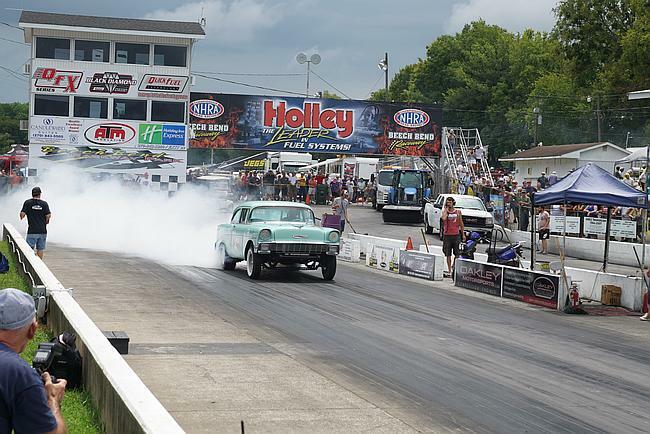 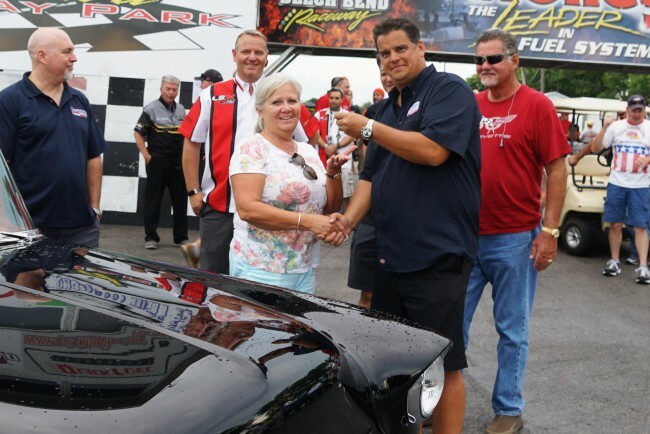 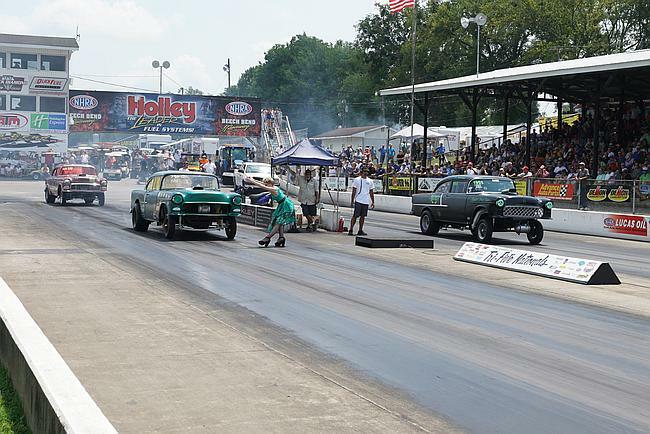 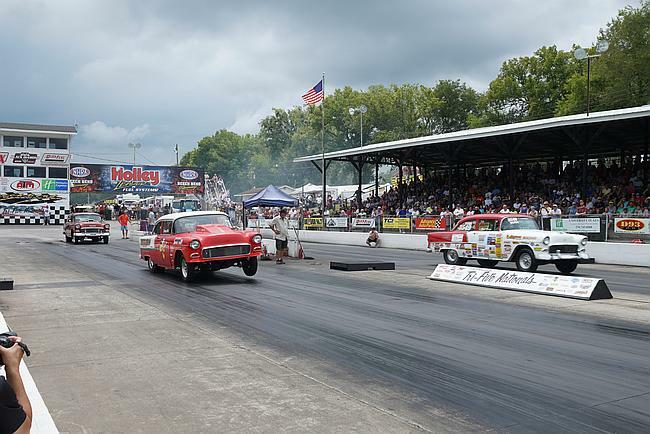 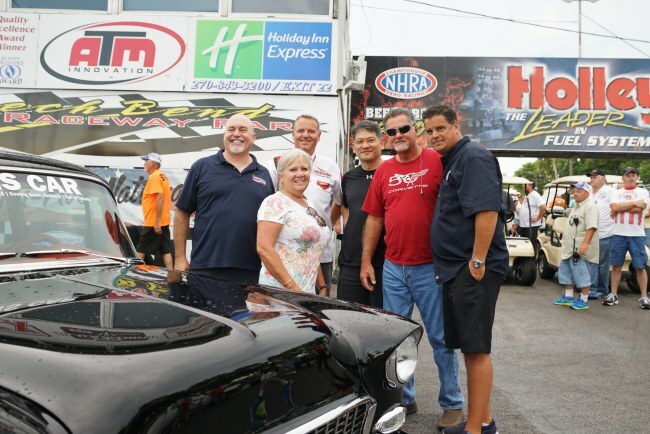 High revving engines, clouds of smoke from burnouts, side-by-side racing down the quarter mile, and exhibition runs by wheel-standing specialties and funny cars are just some of what can be expected at this event each year. 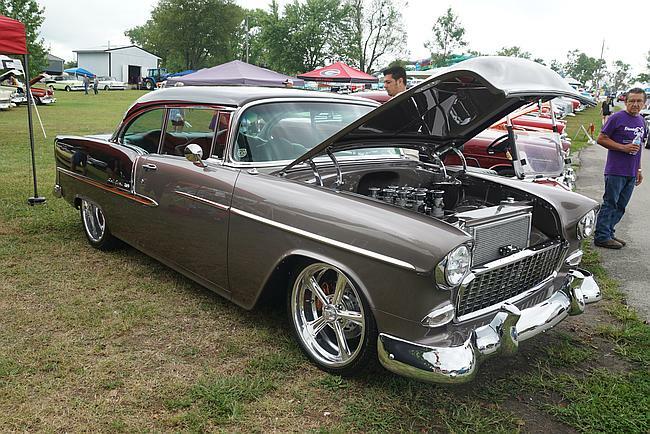 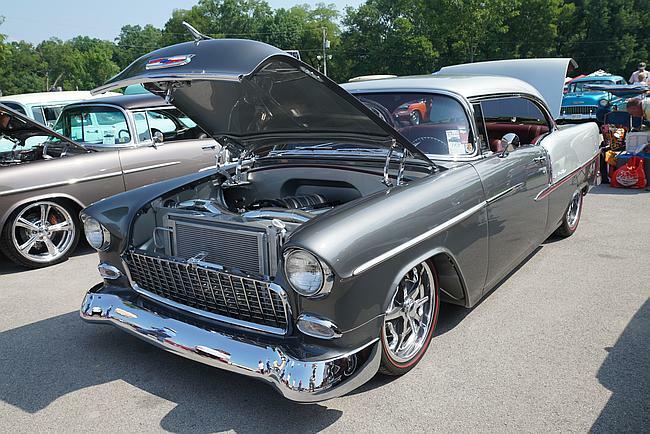 Of course, everyone looks forward to the final day, when special award winners are announced and one lucky member gets to take home a freshly built Tri-Five Chevy. 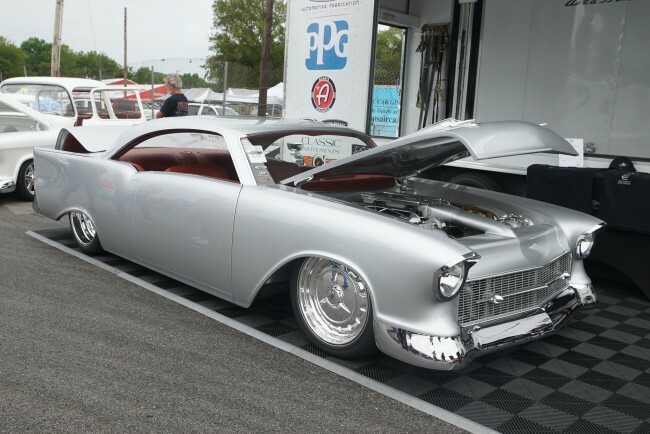 Here are sights from this year’s show. 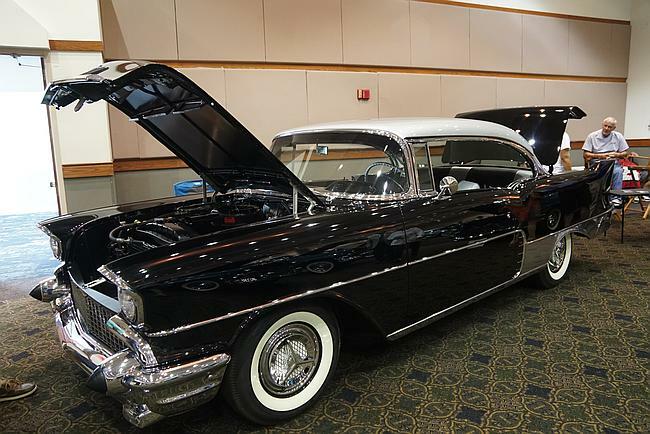 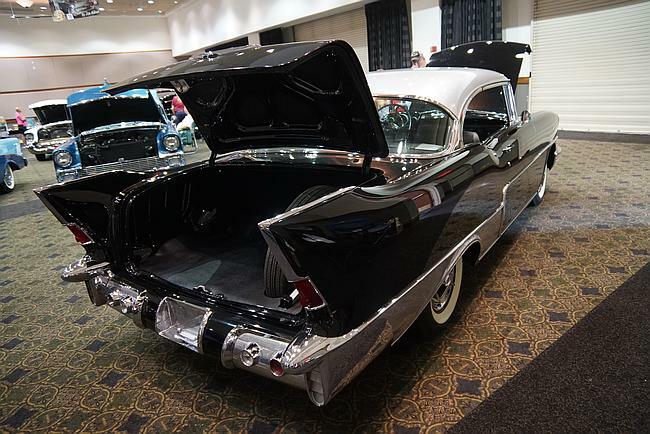 In 1955, Rudy Allender, a Detroit war surplus dealer, had a vision to modify Chevy Bel Airs to resemble GM’s upscale Cadillac Eldorado Biarritz, and to offer these new cars at much more affordable prices. 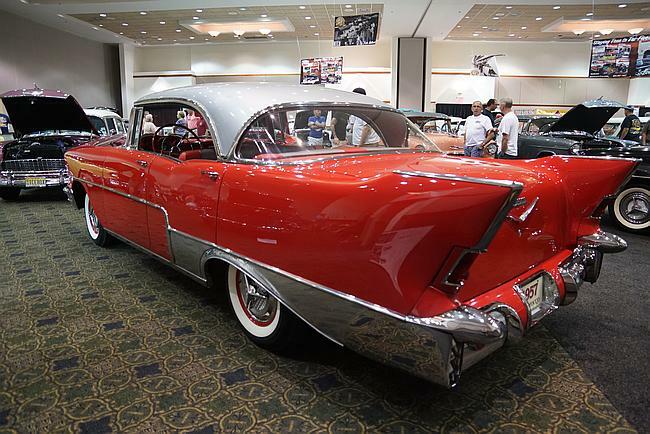 Finally, in 1956 his concept, the El Morocco, was realized. 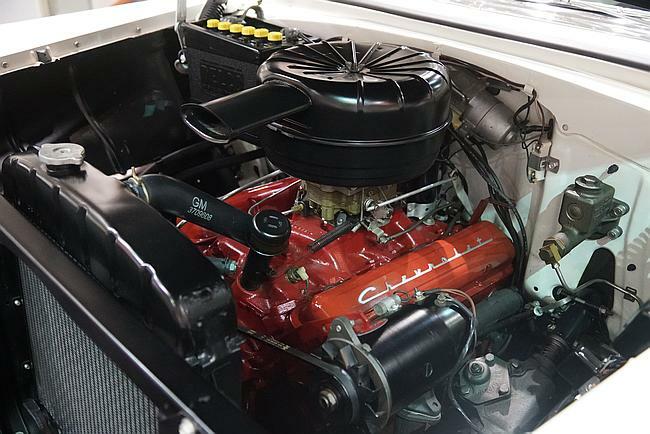 Production was limited to two years, and experts in the field estimate that a total of only 34 El Morrocos were ever built – 16 in 1956 and 18 in 1957. 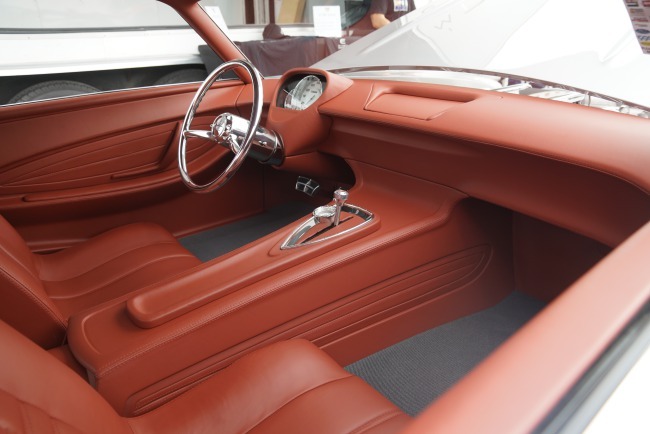 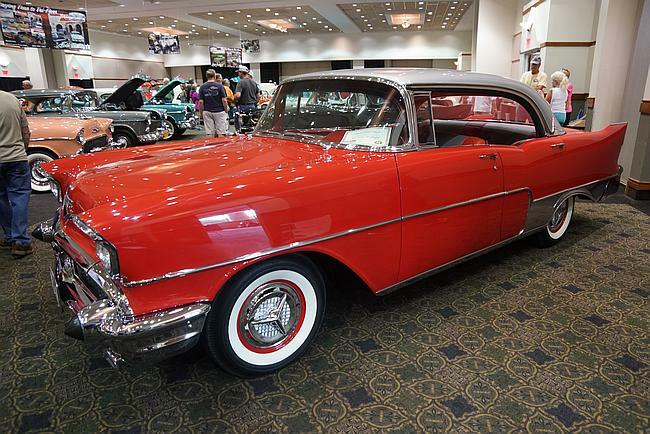 Buyers had the option of getting them in two door, four door, and converible Bel Air models. 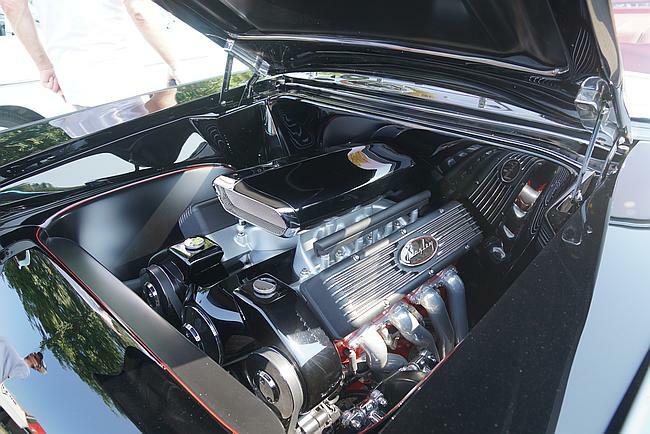 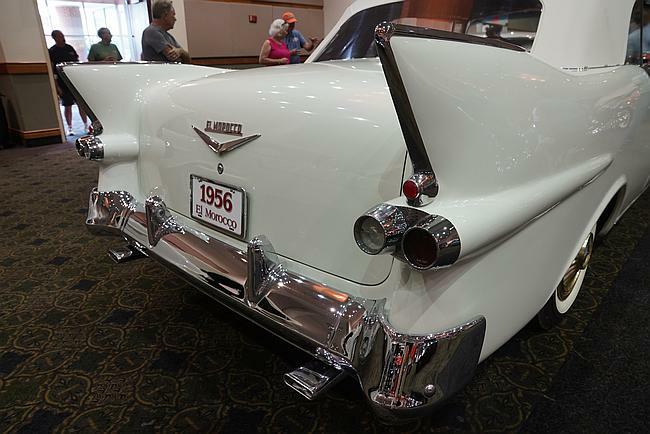 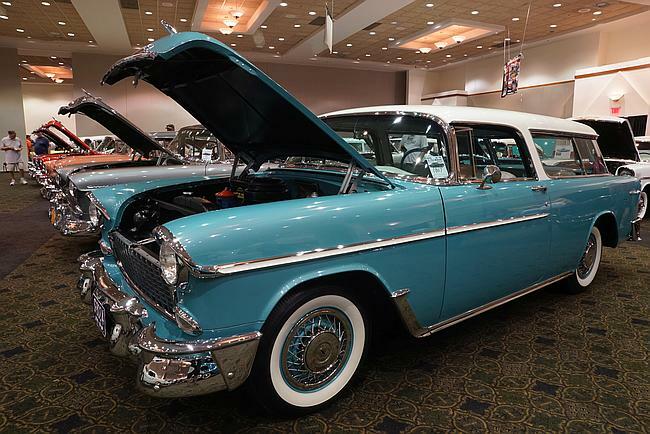 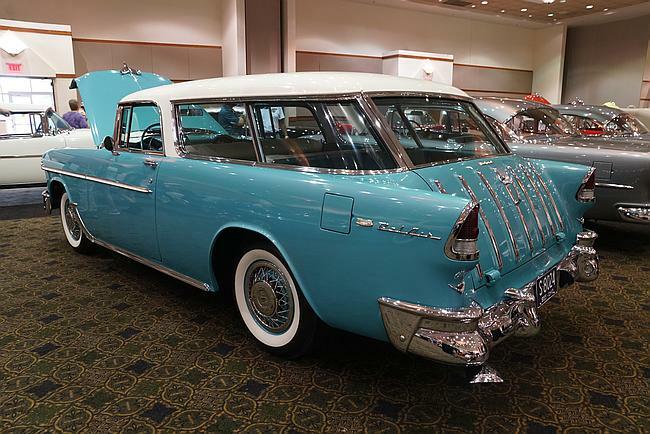 These El Moroccos incorporated several distinctive sheet metal changes, most notably large Cadillac tail fins, but the power train and interiors were stock Chevys. 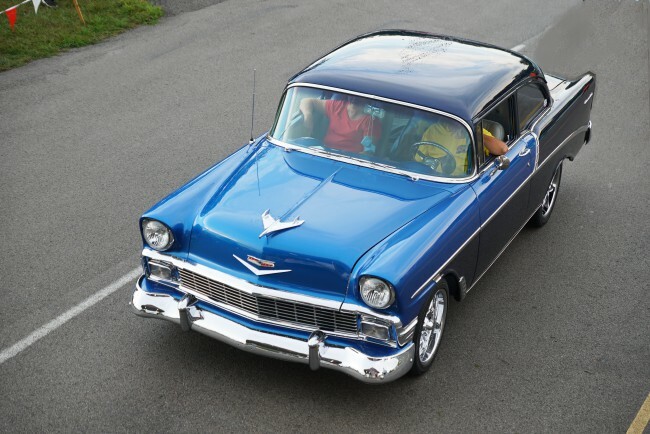 However, all references to Chevy and Bel Air were removed from the cars and replaced by “El Morocco.” Marv Siesel, who initiated interest in these orphan cars during his research of ‘50s Chevys, now owns 3 of the few still known to exist. 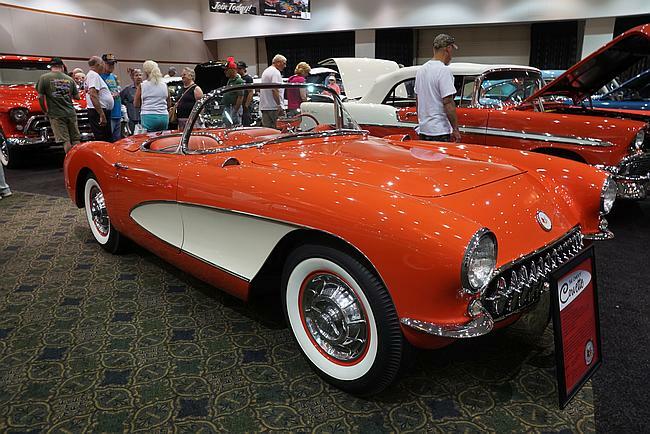 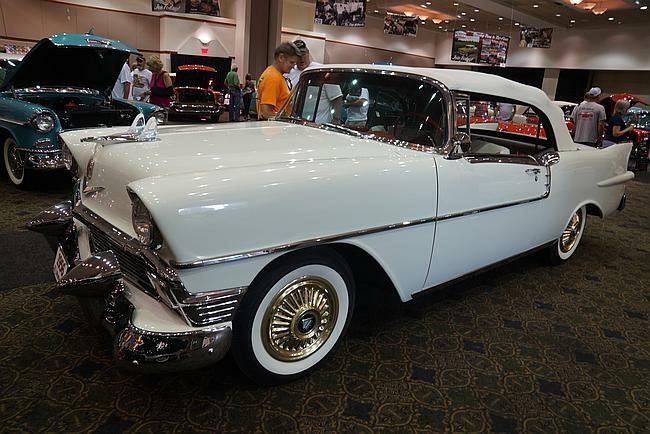 During the Tri-Five Nationals, Marv told us about his beautiful ’57 convertible, which was selected as one of the top 25 cars of the show. 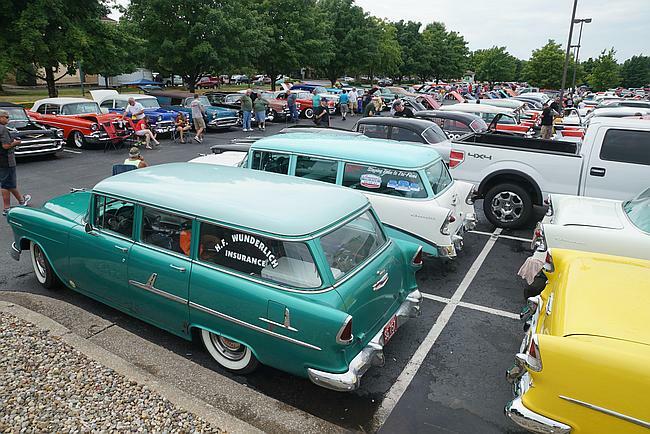 See Marv talk about his El Morrocos in the below video. 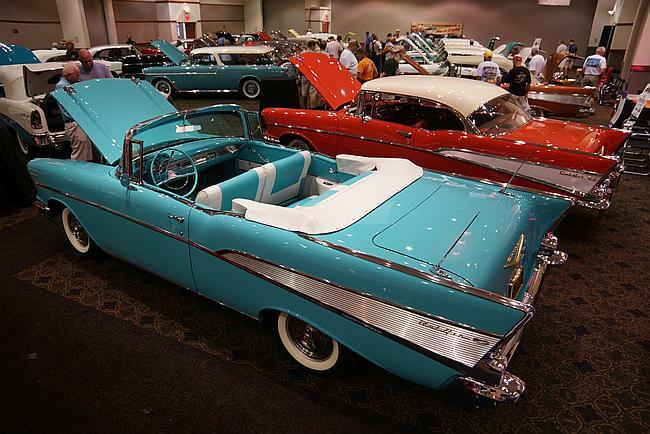 For more on the El Morocco story, click here. 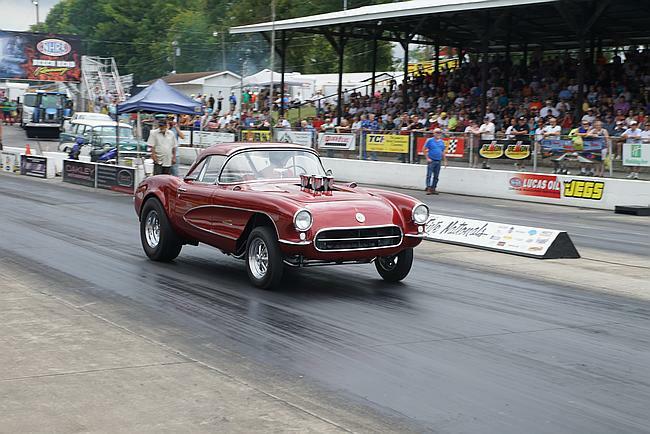 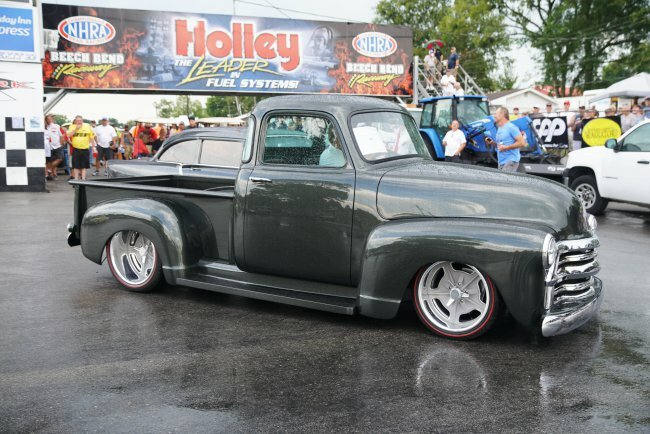 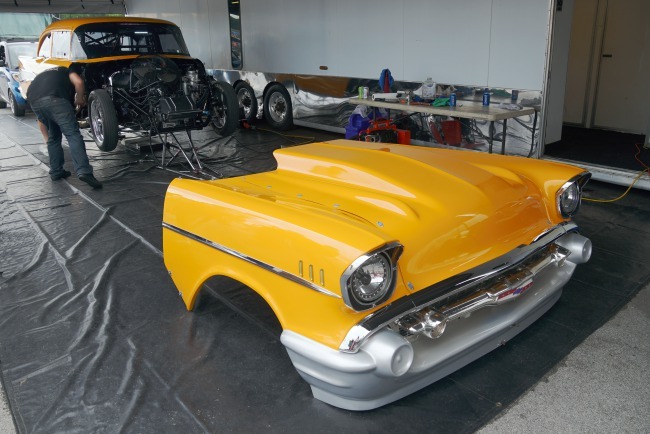 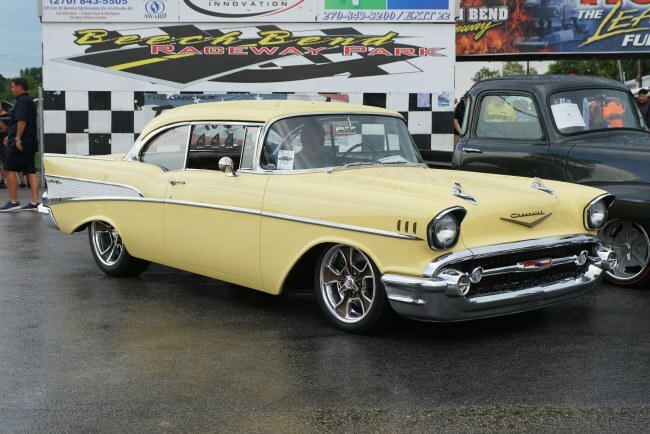 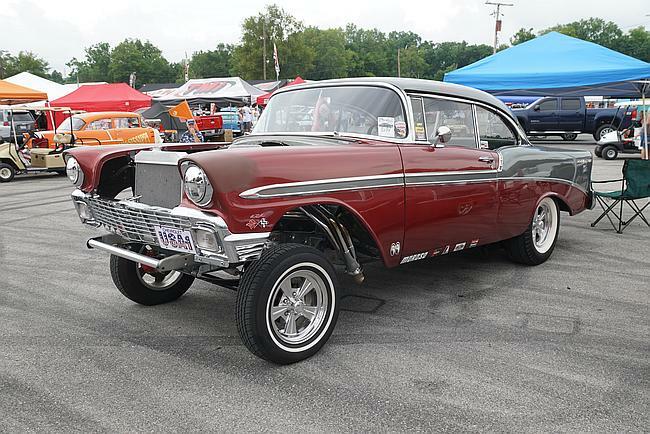 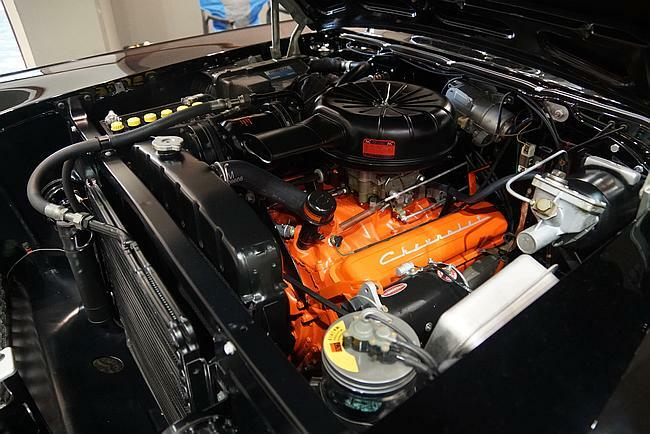 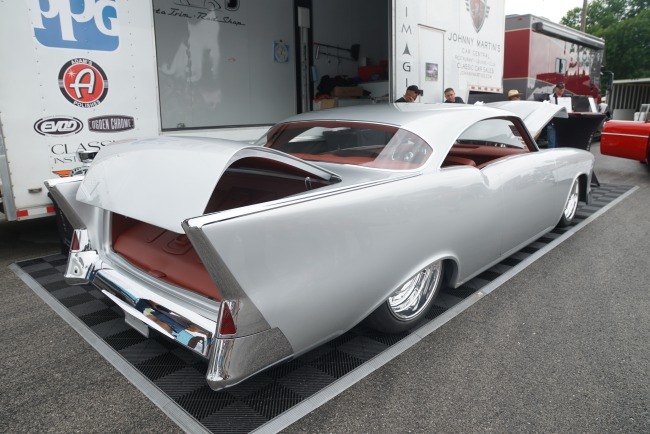 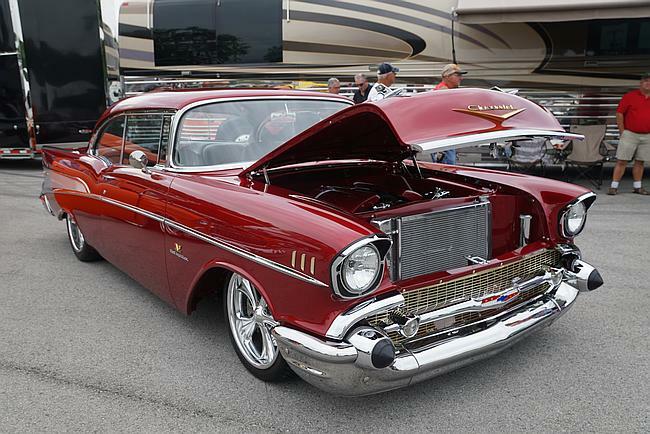 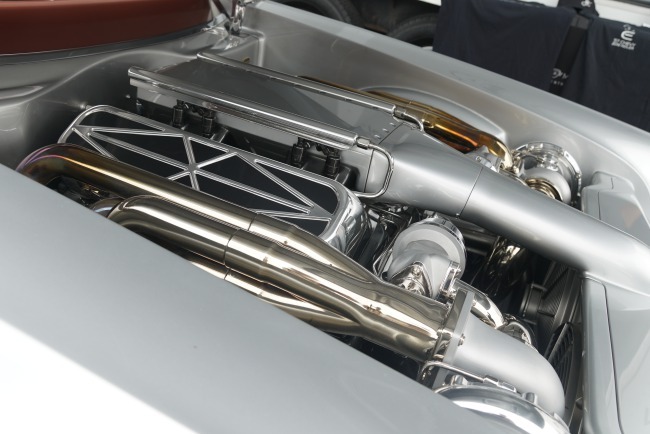 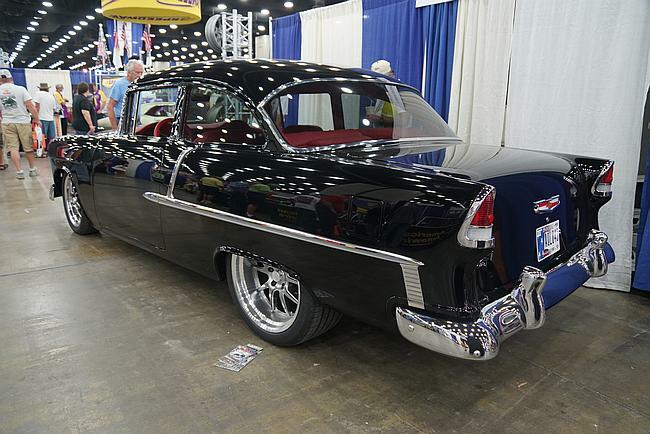 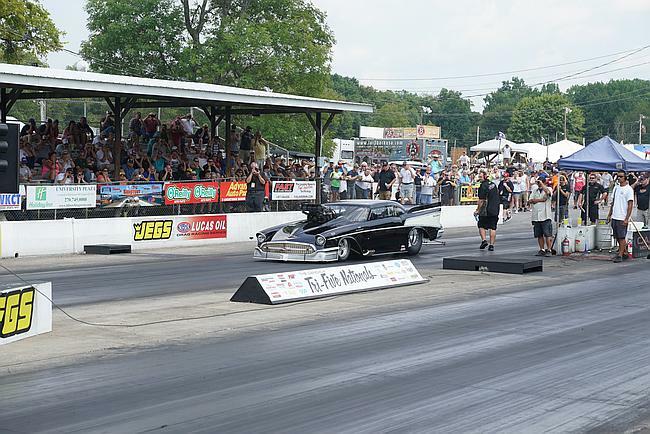 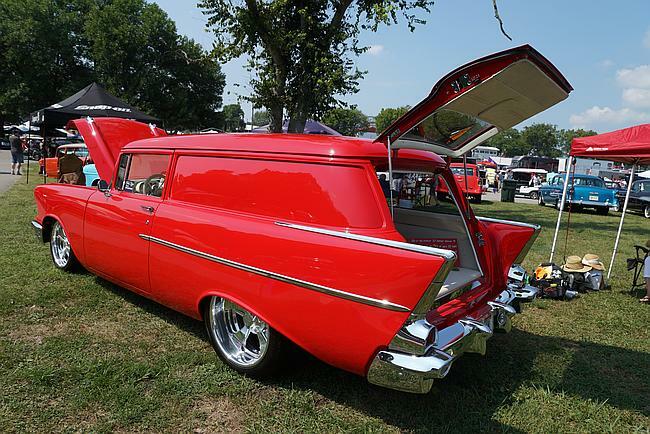 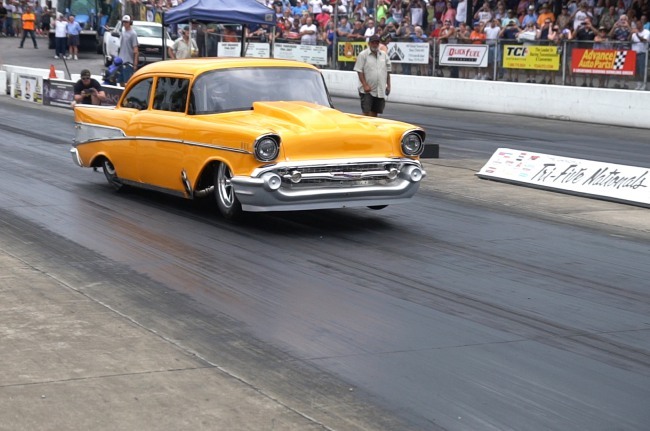 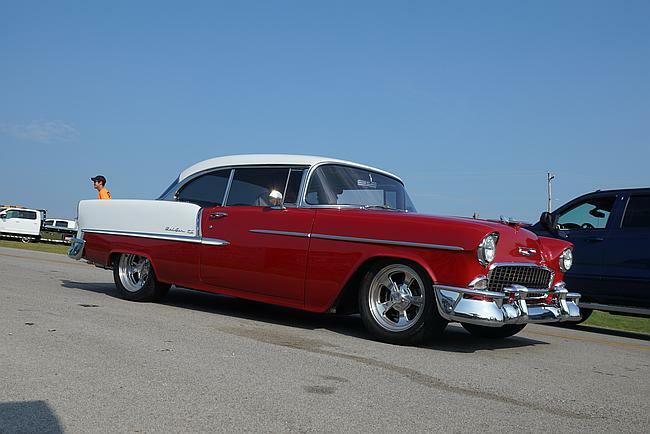 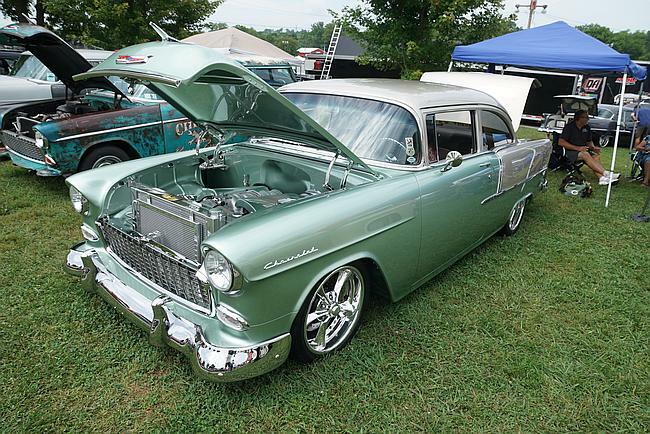 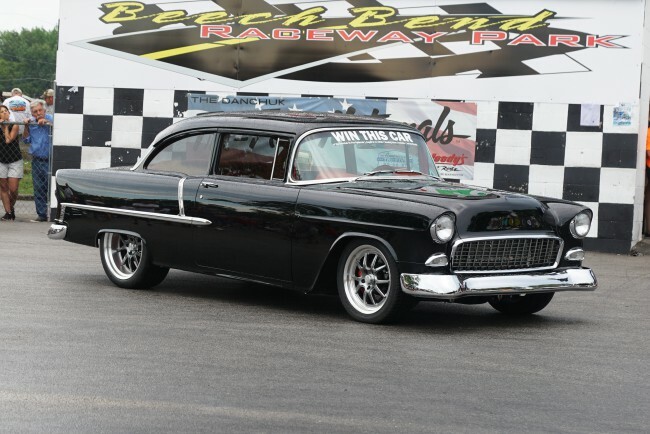 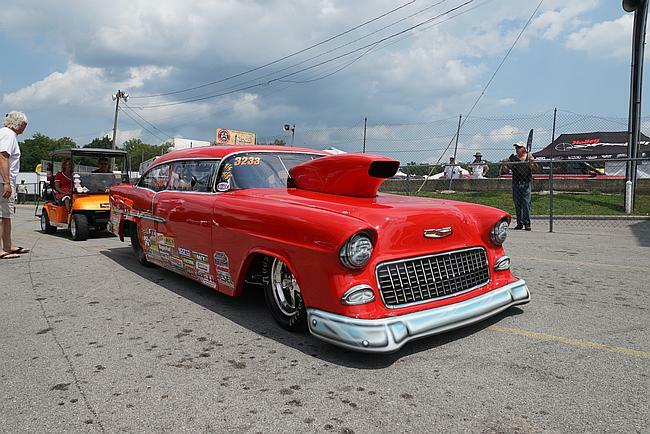 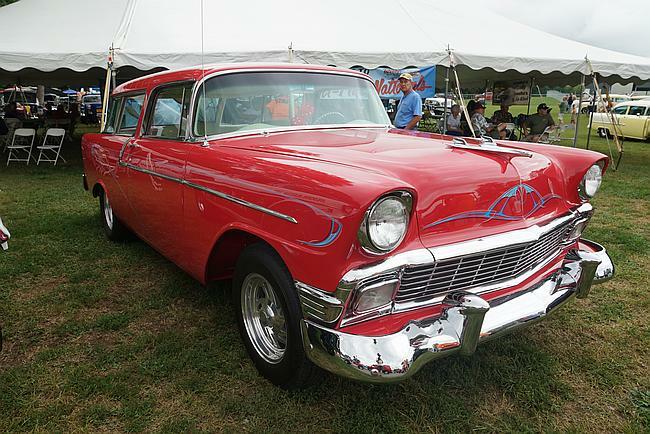 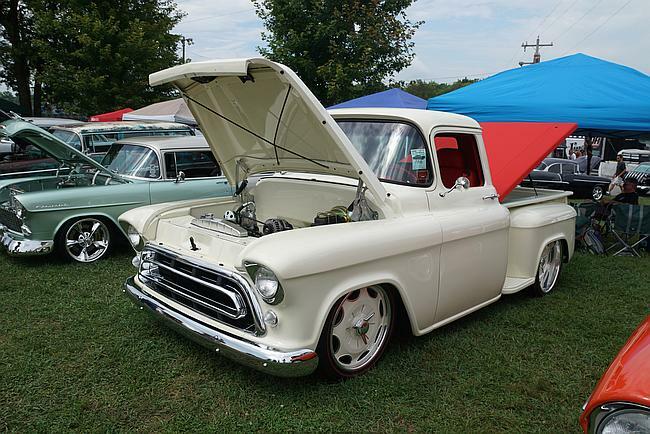 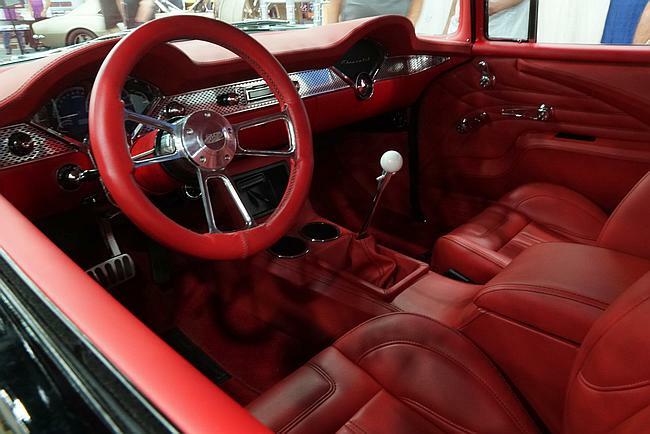 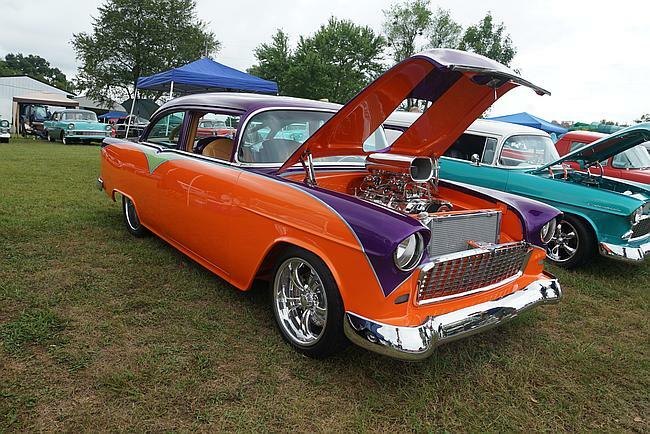 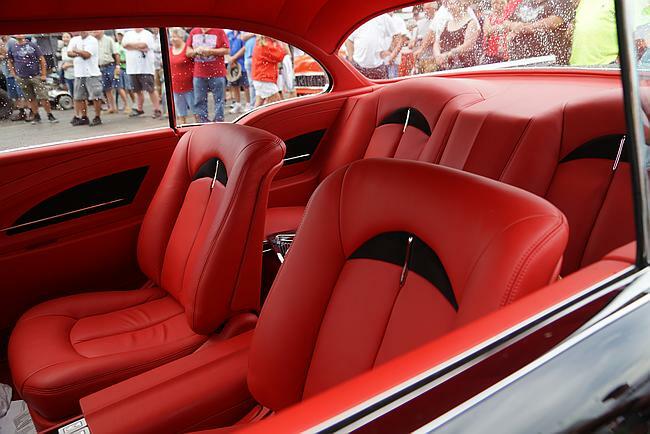 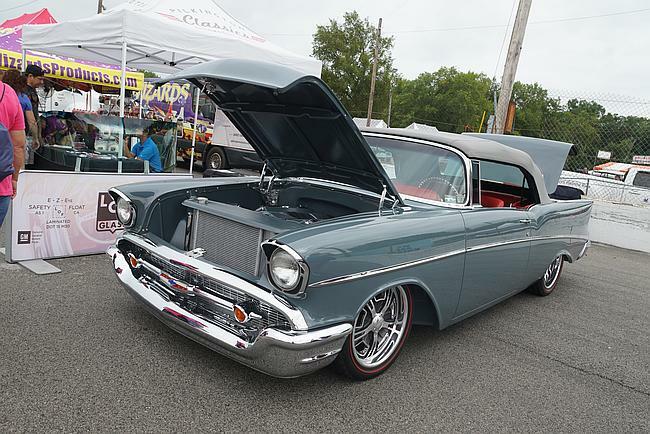 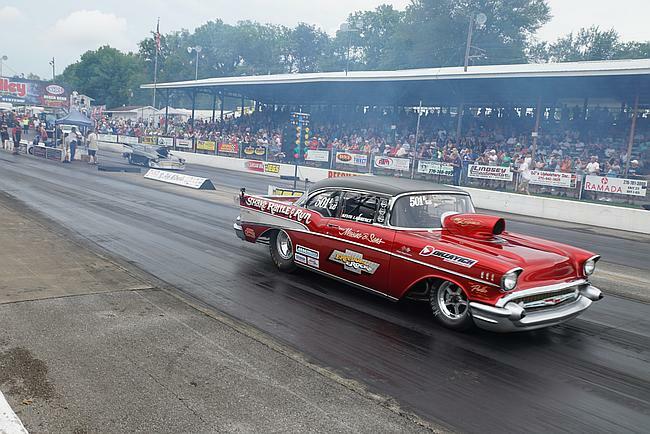 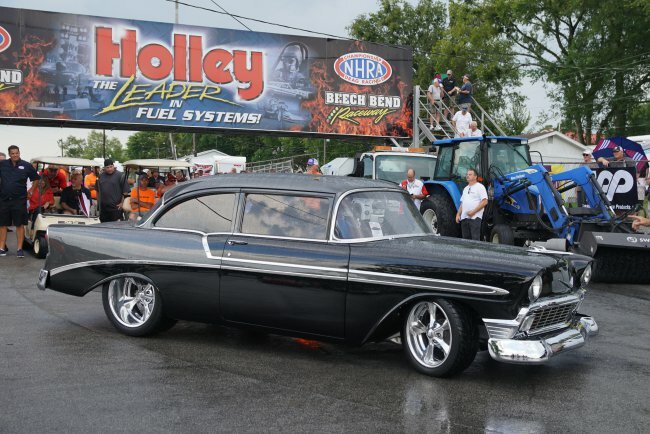 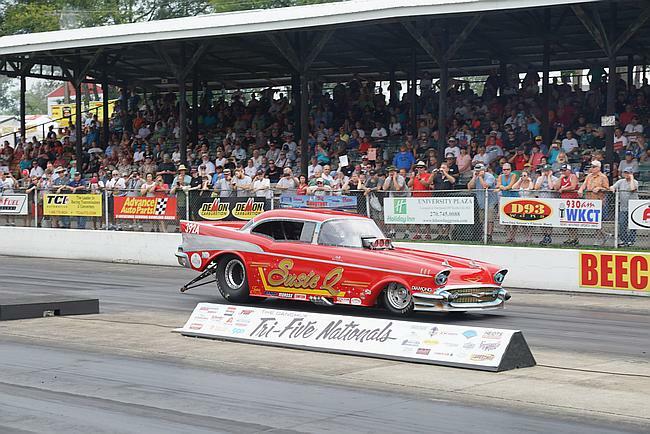 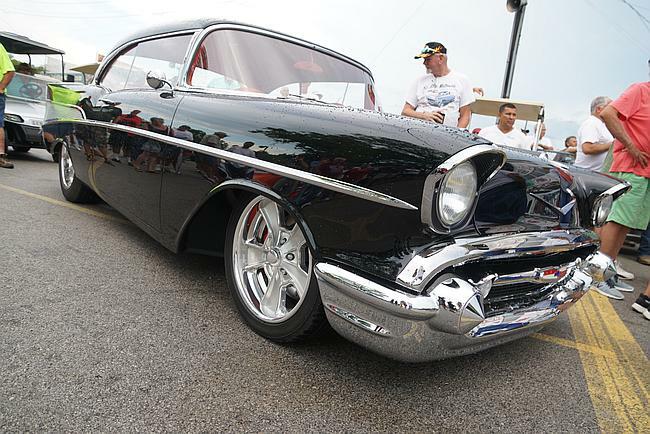 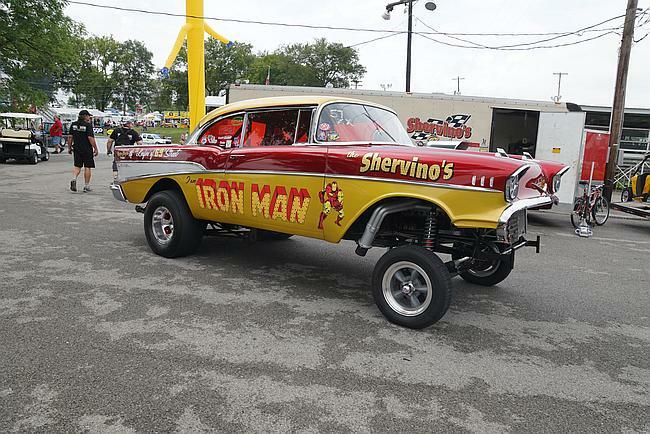 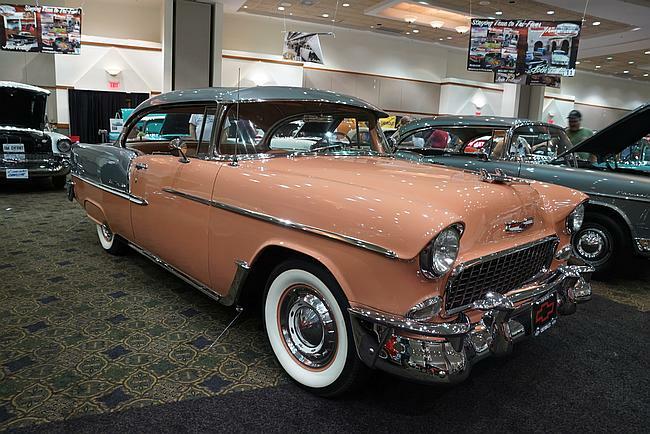 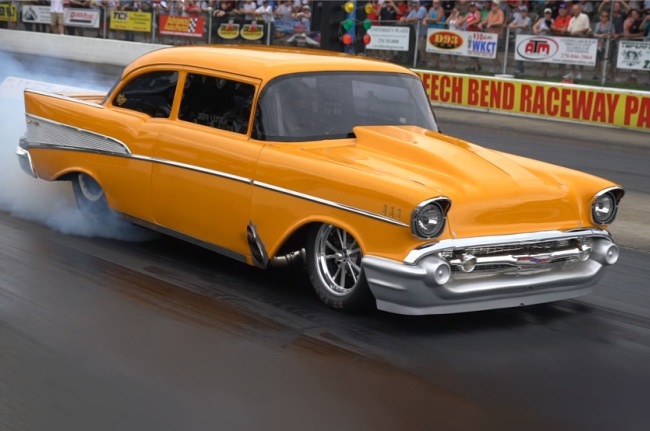 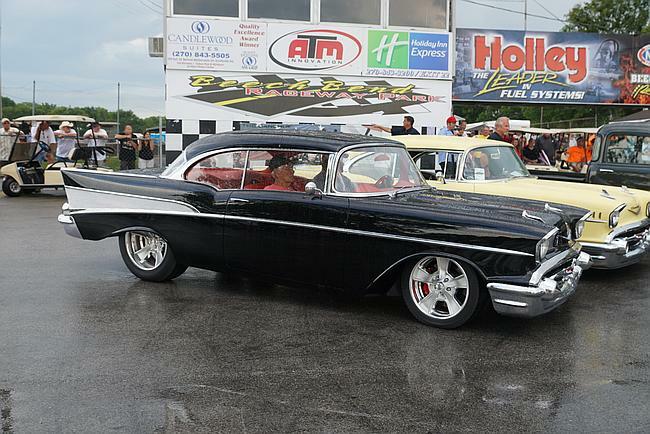 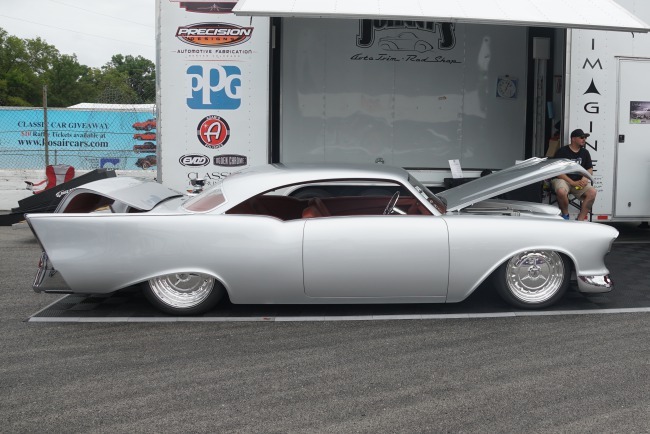 For more about the 1957 Chevy Ridler winner, click here.